Credit Repair Business SoftwareOur credit repair business software provides an online account portal for each of your clients to track their progress while in the program. Your clients have access to their individual portal account via your company’s credit repair website. Inside the credit repair software client portal, we display your credit repair company name, contact information, and picture or logo. This is another feature that allows your clients to view our services as your internal dispute department. The Dispute Center credit repair software provides online account portal access for an unlimited number of clients and affiliates to track their progress. From beginning to end, we strive for a strong integration and collaboration with our affiliates. No other credit repair outsourcing company provides the value and experience that comes with working with The Dispute Center. Our outsourcing service is completely branded and private labeled in your company name, including the client and affiliate portal, client service emails, and company-branded phone lines. Our goal is that your clients believe we are your internal client service and credit dispute department. Client service calls are answered by courteous and knowledgeable professionals providing superior client service that helps increase your client retention. Your credit repair business is assigned a company-branded credit repair client service phone number that is always answered in your company name. Client service calls are typically answered on the first attempt, and we quickly and proactively respond to messages and emails. We confirm receipt of faxes and documents as soon as they are processed. 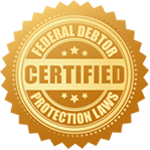 In addition to our outstanding client support service, The Dispute Center staff manages the entire credit repair dispute process for you. Our program fees are all inclusive and there are no additional fees for direct disputes with the reporting companies. The Dispute Center’s success rate, which is one of the highest in the credit repair industry, is due to the thorough understanding and years of experience in the credit repair business. We dispute directly with each credit bureau, reporting company, and, when necessary, file complaints with the CFPB and BBB. We work tenaciously to root out and correct any erroneous information using every legal tactic and resource possible to maximize your client’s results. Most importantly, we never fall complacent; we continually research new credit repair tactics and techniques and keep an ear to the ground for updated bureau and collector procedures. If you’re ready to see what The Dispute Center can do for you, call us at (616) 541-2322 for more information and pricing. Ask how our business credit building and funding outsourcing programs can make your business even stronger!